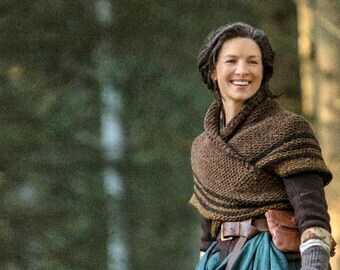 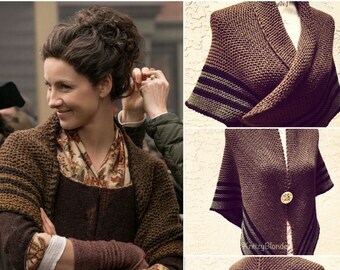 Claire has a new shawl for Outlander season 4: the Carolina Shawl! 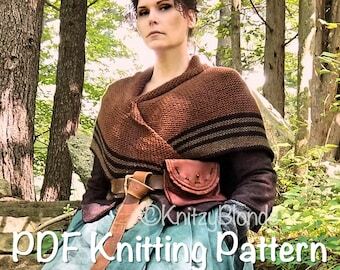 It is hand knit just for you in a thick, chunky and heavier wool blend. 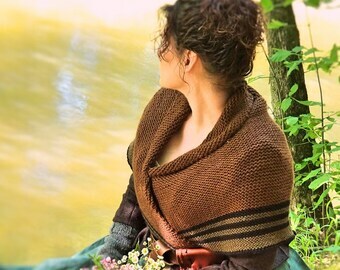 The shawl is a large, warm, thick and chunky wool blend (50% wool, 40% Acrylic, 10% Nylon), hand knit, triangle shawl, approximately 76" from tip to tip, and 38" from center back top to bottom tip. 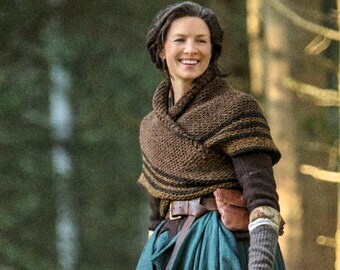 Claire wears hers to keep warm while out on Fraser's Ridge in season 4 of Outlander, Drums of Autumn. 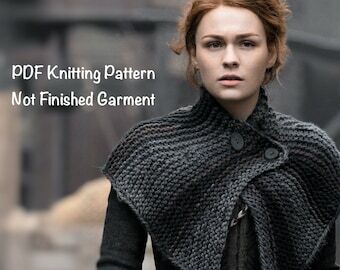 For you, it's perfect to wear with everything from blue jeans to evening! 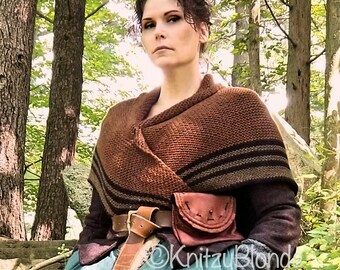 This shawl has 3 colors in it, see the close up for the yarn photos for the most accurate colors (last photo). 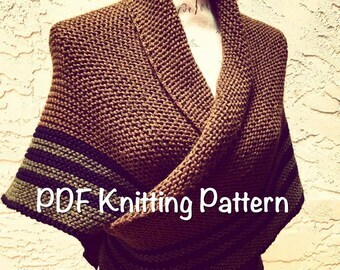 The main color is a rich heather chocolate brown, with black stripes, and mossy brown heather stripes along the bottom. 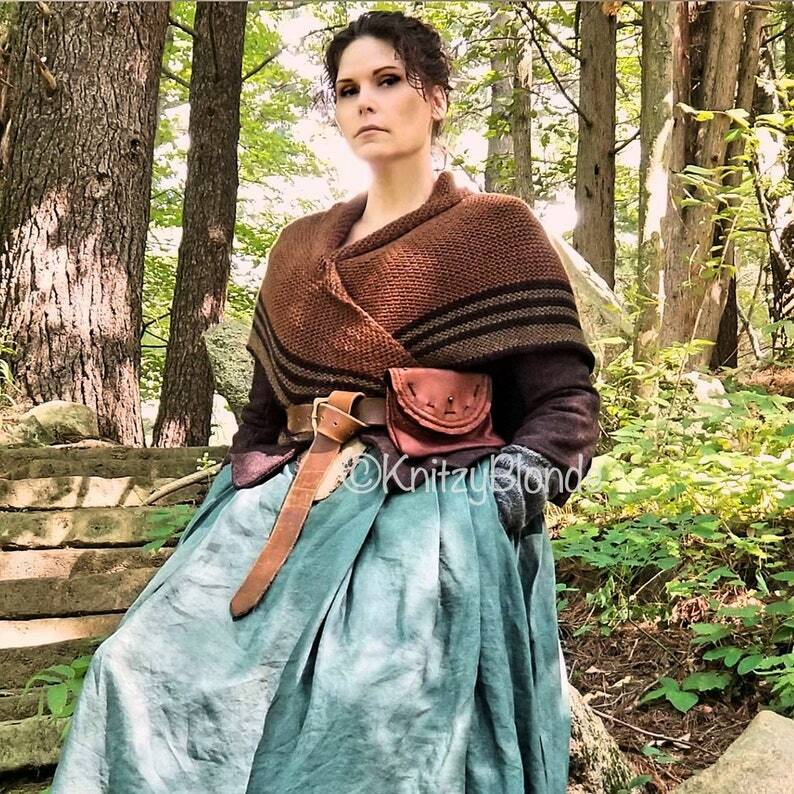 Your shawl will look like these photos when you receive it. 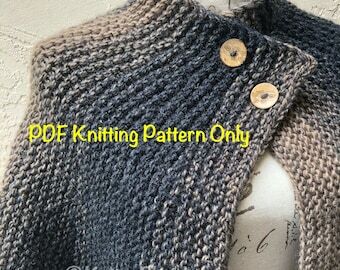 CARE: This is hand wash only lay flat to dry. Thanks to model, Kristen Jones!